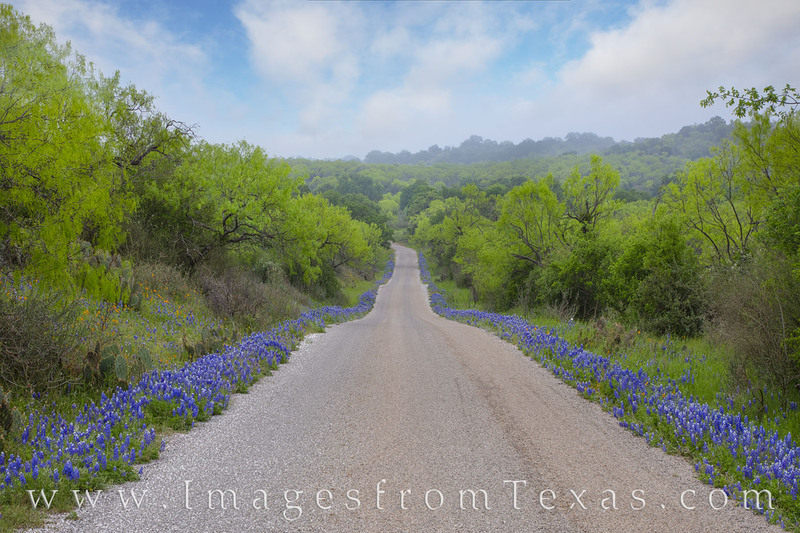 Quiet backroads like this making exploring the Hill Country in bluebonnet season an adventure. A storm was rolling up behind me, but down this county road it appeared the fog was lifting. The blue skies didn’t last long, and soon the landscape was roaring with wind, rain, and lightening. Still, for a few brief moments, these rural roads were all mine as I tried to photograph the beauty and bring it home to you. Photo © copyright by Rob Greebon.